The Other Art Fair is the leading artist fair presented exclusively by Saatchi Art in New York, Los Angeles, London, Bristol, Sydney, and Melbourne. 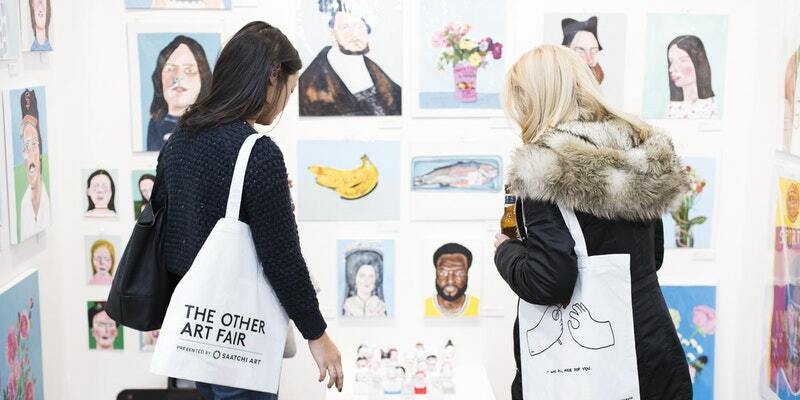 Following two successful editions in 2017, The Other Art Fair returns to Greenpoint's Brooklyn Expo Center for a third installment on May 3-6, 2018, showcasing 130 talented emerging artists alongside a unique and immersive features program. For further information visit nyc.theotherartfair.com Fair Opening Hours and Dates: Private View, Thursday May 3rd: 6pm-10pmFriday May 4th: 3pm-10pmSaturday May 5th: 12pm-9pmSunday May 6th: 11am-6pm ** All The Other Art Fair Brooklyn tickets also allow entry to Moniker Art Fair. ** Children under 16-years old do not need a ticket to enter the fair. They must be accompanied by an adult. ** The Brooklyn Expo Center is wheelchair accessible. ** No dogs permitted into the venue due to tattoo feature at the fair. FAQs How can I contact the organizer with any questions? Please contact laura@theotherartfair.com What's the refund policy? Tickets are refundable unless stated otherwise. Ticket refunds cannot be made within 24 hours of the event date shown on the ticket. Do I have to bring my printed ticket to the event? Both printed and electronic tickets are accepted.